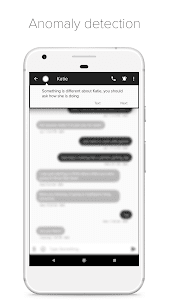 Mei is the first SMS text messaging app with an optional AI relationship assistant designed to improve your texting relationships. 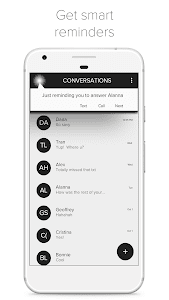 From detecting anomalies and strange behavior in text conversations to full personality profiles and advice on what to say next, Mei uses the latest AI technology to help take your texting relationships to the next level and make messaging safer and more fun. Just like an expert in psychology, but better. 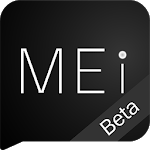 Even if you choose not to use the optional AI, Mei is an upgrade to replace your stock SMS / MMS messenger. 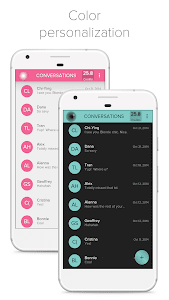 Send secure, encrypted messages and enjoy free international texting, delete text messages even after they’ve sent and much more. • Predict the type of relationship you have with the person you’re texting – family, friend or crush (someone you’re romantically involved in). Mei can interpret text messages in real-time, make accurate predictions and give useful suggestions to help understand how you come across and alert you when she senses certain things in your chats. She’s able to analyze many features in a chat that even a degree in psych wouldn’t be able to help with. Mei has an anomaly detection feature that alerts you if she notices abnormal behavior from you or someone you’re texting. Improving your relationships starts with better understanding yourself. 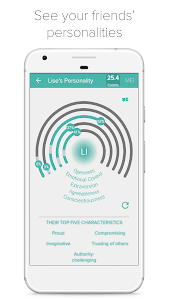 By analyzing text messages already on your phone, Mei can give you a full personality profile showing you how you come across in your texts. She can also provide you with the personalities of the people you chat with and tell you how similar you communicate. 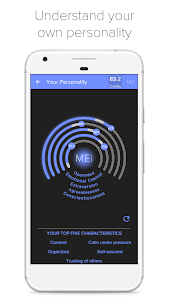 Taking into account personality differences between you and whoever you’re texting, Mei can offer insightful texting advice to help avoid miscommunication and misinterpretation. For example, if she perceives the one you’re texting as very spontaneous and you as more organized, she will tell you it’s okay to play things by ear. Mei provides initial suggestions on how to bridge the gap in communication. 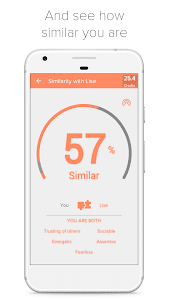 Mei can accurately predict the age and gender of users and contacts. In addition, she can also predict the type of relationship you have with the person you’re messaging – whether they’re a friend, family member or a romantic partner. Our credit system manages the data and intelligence exchanged in the app. If you turn on the AI and share your data, opinions and knowledge, you’ll earn credits. If you request data and intelligence, for example, to understand a contact’s personality, you’ll use credits. With Mei, you can take the psychology out of your texts and chats, and let our AI help you with your relationships. Similar to "Mei: Messaging + AI"